Appendix surgery is performed when there is an infected appendix. The infection of appendix is known as appendicitis and in this condition the infection leads to swelling of the appendix and pus can accumulate in it as well. Appendix surgery is performed to cure this condition and it is important to follow the instructions of your surgeon regarding foods to eat after appendix surgery. Certain foods can speed up the recovery and help in healing process. Clear broth is nutritious and easily tolerated. Start from taking small sips and increase the amount gradually to avoid any nausea or vomiting. 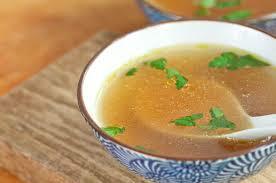 The proteins in broth will help in regaining your strength. Squash contains plenty of nutrients like beta carotenes. Beta carotenes are converted in vitamin A which helps in recovery and speeds up healing process. Make sure that squash is pureed or cooked properly for easy digestion. 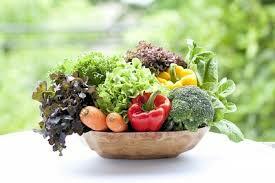 You can also have other foods rich in beta carotenes like carrots and leafy green vegetables. Make sure that they are soft and properly cooked. Yogurt should also be included in your list of what to eat after appendix surgery. It is easily digested and has good nutritional value. Take a few spoons in the beginning and then increase the amount. Low sugar yogurt is more easily digested than the regular one and you can start with it. After a couple of days following appendix surgery you can start solid foods. The abdominal pain, nausea and vomiting generally gets better by this time and solid food is easily tolerated. You can gradually resume your normal daily diet but it is necessary to eat a nutrient rich diet after appendix surgery. The body needs many nutrients and minerals to recover and the scar heals better when all these essential nutrients are available. 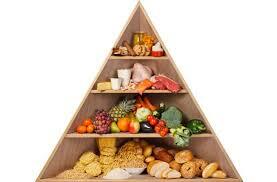 Have a balanced diet and include foods from all the food groups to get plenty of proteins, vitamins and minerals. 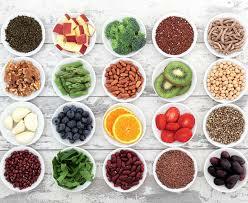 Whole grains, meat, fresh fruit and vegetable, fish, eggs and beans are excellent choices. If you have recently had appendix surgery and are thinking about what to eat after appendix surgery, you should consider foods which promote healing. Proteins, carbohydrates and fats, all play an important role in healing process and all of them are required by the body to regain its strength. Proteins are essential for collagen formation which forms the connective tissue that fills the gap at incision site and promote wound healing. Carbohydrates are a great source of energy and help to repair the blood vessels. Get your carbs from fruit, vegetable, brown rice and whole wheat grains. Fats are required to maintain cell membrane integrity and strength. Healthy fats like olive oil can be taken along with nuts, seeds and avocados. Vitamins and minerals are essential to strengthen the immune system. The right foods can provide adequate amounts of these vitamins and minerals and can boost your immune system. A strong immune system means fewer chances of port operation infection and speedy recovery. Zinc is a very important mineral which promotes healing and gives the immune system a boost. It is required for white cell production and is found in abundance in milk, seafood, nuts, beans and whole grains. Vitamin A is extremely important and prevents infections by maintain the integrity of respiratory and intestinal membranes. Vitamin C helps to make antibodies which fight against the bacteria and viruses. Vitamin E is a strong antioxidant. It prevents the damage caused by free radicals and protects the cell structures. All leafy green vegetables are rich in vitamin A and C, citrus fruit is full of vitamin C and almonds and spinach are excellent sources of vitamin E.
Now that you know about what to eat after appendix surgery, here are a few things you should not consume till you are fully recovered. 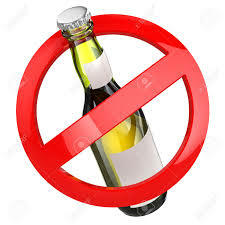 Alcohol and all foods containing it should be avoided for a few days following any surgery. Alcohol can interact with the anesthetic medication that can stay in your system for a few days after surgery. This interaction can result in many side effects and the best thing is to avoid alcohol for a few days. If you are adding it in stews or casseroles, make sure to cook them for at least a couple of hours to reduce the alcohol content. 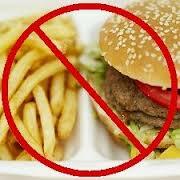 You can resume your normal eating routine after a few days of surgery but try to cut back on fatty foods. They are hard to digest and you can experience diarrhea. Take moderate amounts of good fat like olive oil but stay away from fried food, full fat cheese, cakes, chocolates and other food items containing lot of fats. According to latest recommendations refined sugars and foods with high sugar content should not be consumed in large quantities after abdominal surgery. These can cause diarrhea and should be avoided.